With only the wind as a companion, this graceful canine statue, rendered in coveted Art Deco style, recalls the aristocratic European breed born to run. Prized for its sleek, smooth lines, the whippet is beloved in art and design. 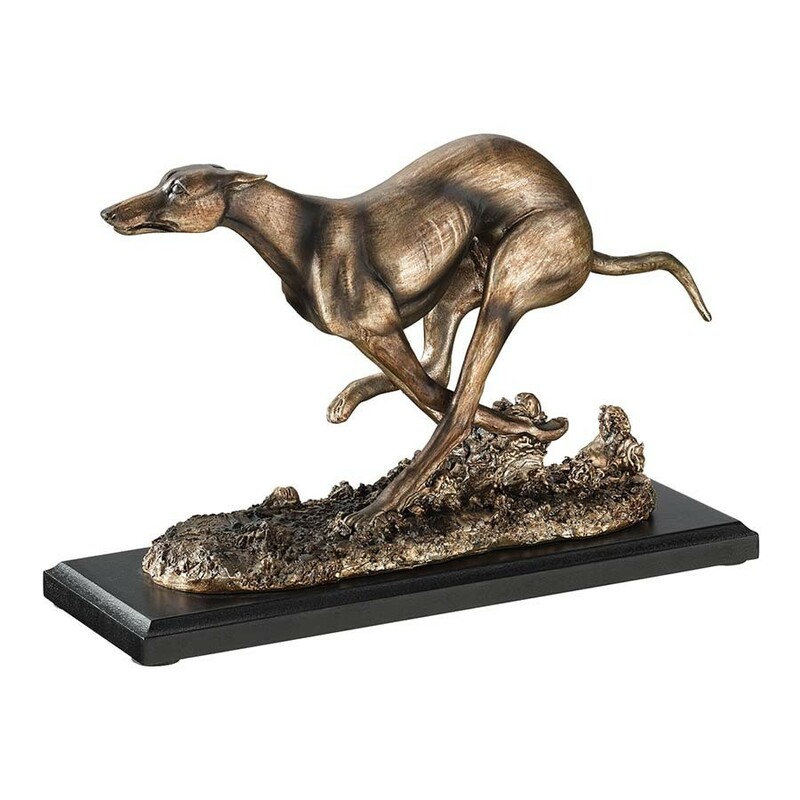 Our Greyhound Whippet dog statue, with echoes of the famous French sculptor Mene, is cast in quality designer resin and finished in bronze to capture the exquisite detail of the period originals.